‘DNS Probe Finished No Internet’ is one of the common error messages that pops- up on your screen while you’re browsing your favorite websites. There are various reasons that can cause this issue such as browsing history and outdated cache logs. However, most of the times the message comes up on your screen when there is some issue with the default DNS server which your computer is using. Fortunately, you can get rid of the error message by making changes in default DNS server to some other DNS services such as OpenDNS. In this post, we’re going to share various ways to fix ‘DNS Probe Finished No Internet’ error in Chrome browser. Method 1: Disable DNS Prediction Services/Fix DNS Probe. 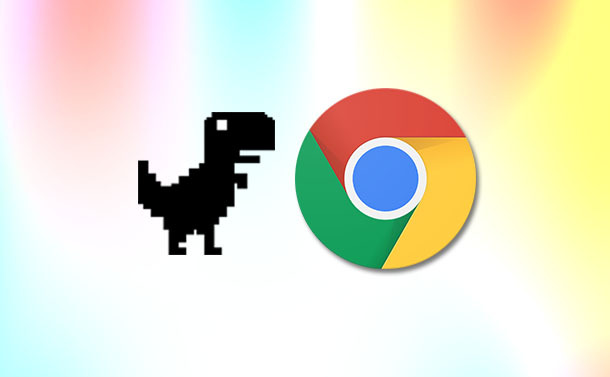 Step 1: Open Google Chrome browser on your screen. Step 2: Click on (three dots) menu icon and select Settings. Step 3: Scroll down until you see Advanced settings and select it. Step 4: Now, look for the option ‘Use Prediction Services to Load the Pages more Quickly’ and toggle off it. Step 5: Restart your browser to save the changes and to solve the issue. Step 1: Go to search box, type Control Panel. Navigate to Network and Internet->Network Sharing Center. Step 2: Go to Local Area Connection and click on it. Step 3: From the Local Area Connection Status, choose Properties by right-clicking on your active network connection. Step 4: Now, you need to look for Internet Protocol Version 4 (TCP/IPv4) and select it. After selecting Internet Protocol Version 4, you need to hit Properties. Step 5: Now choose Preferred DNS Server: 8.8.8.8 and Alternate DNS Server: 8.8.4.4. After changing your DNS address, you need to restart your modem to make sure your internet is working again. You might get the issue in case the DNS cache is outdated. In order to clear out the outdated DNS, you need to follow the below steps. Step 1: You need to open “Run”. You can press Windows + R to directly open the Run box. Step 2: Type down CMD to open Command Prompt in the Run window. Step 3: Once the Command Prompt window comes up on your screen, you need to type ipconfig /flushdns and then press Enter. Step 4: Now, restart your machine to find out whether the error is fixed or not. Step 1: Press Windows + R to open the Run box. Step 2: To open Device Manager, type “devmgmt.msc” and hit ok. Step 3: Select Network Adapters. Step 4: Now, you need to right click on working network adapter and select Update Driver Software. Step 5: Choose “Browse my computer for driver software”. Step 6: Select “Let me pick from a list of device drivers on my computer”. Step 7: Now, you need to choose the compatible network hardware and then select Next. Step 8: You’ll notice a dialog box appear on your screen reflecting ‘successful driver update’. Now, you can connect to the internet. Method 5: Clear Browser Cookies And Cache. There are many times when you get ‘DNS Probe Finished No Internet’ error message while uploading page in Chrome wherein incognito windows works flawlessly. Usually, it happens when the problem is with your extension and cache. In order to fix the issue, you need to perform a registry cleaner and uninstall your browser to get the latest one. Step 1: Press the three dots menu that is in the top-right corner of your chrome. Step 2: Select History or you can press CTRL + H to access your history page in the Chrome browser. Step 3: Click on ‘Clear browsing data’ option that you can locate on the left-hand side of the screen. Step 4: In the new window, select “All time” option from drop-down menu. Step 5: Choose Clear Data. Step 6: Once the process is completed, you need to restart your browser and type down “Chrome://restart in the URL bar”. You can resolve ‘DNS Probe Finished No Internet’ error in Chrome browser by using the above five methods. We hope these methods will be helpful for you. Please do not forget to share your comments in the below section.